Price/availability: from £28,645. On sale May. Engine/transmission: 2,979cc six-cylinder twin-turbo petrol; 306bhp at 5,800rpm and 295lb ft of torque at 1,300-5,000rpm. 2,996cc six-cylinder petrol; 258bhp at 6,600rpm and 228lb ft at 2,750rpm. 2,497cc six-cylinder petrol; 204bhp at 6,200rpm and 184lb ft at 2,950rpm. Six-speed manual or six-speed auto in the sDrive23i and sDrive30i and seven-speed auto in the sDrive35i. Performance: sDrive35i: top speed 155mph, 0-62mph in 5.2sec (sports auto 5.1sec), EU Urban fuel consumption 20.9mpg (auto 22.4mpg), CO2 emissions 210g/km. sDrive30i: 155mph, 5.8sec (auto 6.1sec), 22.8mpg (auto 23.7mpg), 195g/km. sDrive23i: 150mph, 6.6sec (auto 7.3sec), 22.8mpg (auto 23.9mpg), 192g/km. We like: Excellent seven-speed gearbox, engine sound, build quality, clever Drive Dynamic Control technology, versatile folding hardtop. We don't like: Harsh ride of Sports + suspension, numb steering, sacrifice of sportiness for practicality. 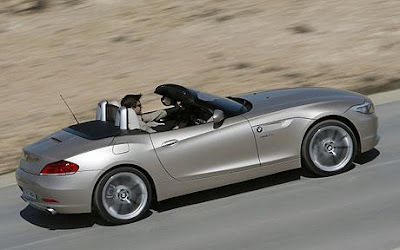 Alternatives: Mercedes SLK, from £29,045. Porsche Cayman, from £36,101. 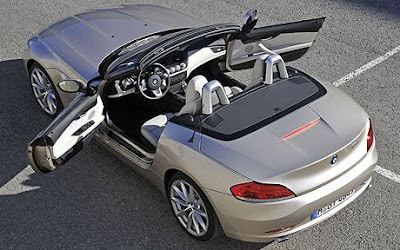 Porsche Boxster, from £33,704. Audi TT, from £24,925.